Blogging is becoming too serious and somewhat boring for teens who abandoning the medium for social networks, according to a recent study. The study, conducted by the Pew Research Center's Internet & American Life Project, showed a decline in the number of teens who say they blog, from 28 percent in 2006 to 18 percent in 2009, when the study was conducted. 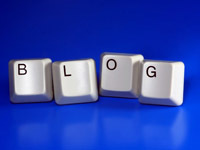 By contrast, the survey found that about 10 percent of adults maintain a blog, a figure that has remained unchanged. The survey obtained telephone interviews with a nationally representative sample of 800 teens age 12 to 17 years-old and their parents living in the continental United States, according to Pew, conducted between June and September. Not surprisingly, teens are wired: 93 percent of teens surveyed went online; 63 percent on a daily basis. Only 74 percent of adults go online, based on a separate December study that also included Spanish-speaking Latinos, a group with a disproportionately lower incidence of online use, according to Pew. Adults, however, visit the Internet more frequently, with 73 percent doing so daily. Almost seven in ten teens own a computer, with two-thirds of those between 18 and 29 owning a laptop. About 58 percent of adults own a desktop, Pew reported. Not surprisingly, though social networking is on the rise. As of September 2009, 73 percent of online American teens ages 12 to 17 used an online social network website, a statistic that has continued to climb upwards from 55 percent in November 2006 and 65 percent in February 2008, the survey found. Older teens generally frequented the sites more. But the study also found the sites to be less "sticky," with fewer participating heavily. "Even with teens' continued enthusiasm for social networking, recent changes in their communication patterns on the sites suggest they are somewhat less tethered to their profiles," the study found. "Teens have remained steady or even shown a slight decline in their likelihood of using social network sites to connect with friends." September data, meanwhile, shows that most teens don't tweet: only 8 percent of teens use Twitter, as opposed to 19 percent of adults. MySpace remains the most popular social networking site for teens, while Facebook serves the same role for adults. PC Magazine has contributed to the report.